A new global research funding program on Transformations to Sustainability has been launched by the International Social Science Council (ISSC). The program aims to build scientific understanding of transformative social change in the face of global change and sustainability, including for example climate change, biodiversity loss, water and food security, energy production and consumption, rapid urbanization and their complex interactions with persistent poverty and growing inequalities and social discontent. More specifically it seeks to lift the contributions from the social sciences to craft more effective, durable and equitable solutions to the problems of global change and sustainability and increase the use of such knowledge by policy makers, practitioners, the private sector, citizens and activists. To do so the program will support researchers from the social, behavioral and economic sciences to take the lead in developing international Transformative Knowledge Networks that will 1) undertake research on social transformation; 2) bring together researchers from diverse disciplines, fields and regions of the world; 3) engage stakeholders in the co-design and co-production of solutions-oriented knowledge, and develop networks; and 4) build capacity for international research collaboration and support of early career social scientists. 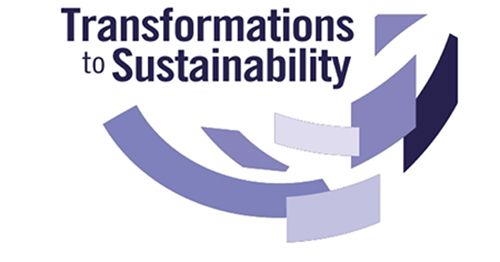 Transformations to Sustainability will issue two calls for proposals in 2014. The first call, issued on March 31 (with submission deadline 31 May) is for proposals for seed funding – a possible 30 grants of €30,000 each – to help researchers prepare for the full call. The second call in October 2014 will be for full proposals for Transformative Knowledge Networks of which a possible three grants of €300,000/year over 3 years will be made. The program is intended as a major contribution under the Future Earth initiative. The program description and details of the first call for seed funding and the major call for proposals for Transformative Knowledge Networks here. Also visit the International Social Science Council webpages and read more about the Transformation to Sustainability program. ⇐ Can I make a difference?